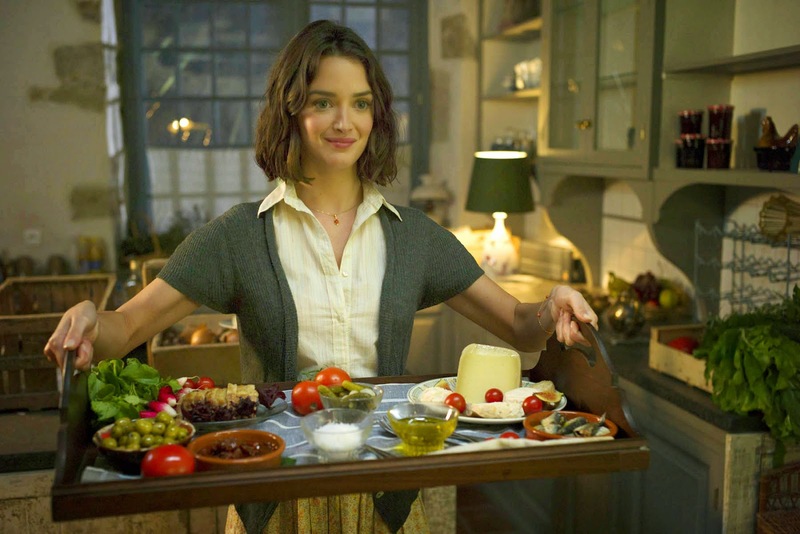 Neither the lush, poetic expression of everything its target audience of foodies and mature movie-lovers might hope for nor the cloying, overripe romance other critics accuse it of resembling as they all gleefully pile on, The Hundred-Foot Journey is a pleasant diversion from the excess provided by the usual summer blockbusters. That our screening was preceded by a taped message from producers Steven Spielberg and Oprah Winfrey hinting how much they want you to really, really like it, signaled that the movie would try very hard to be inoffensive, a kind of paradox if you think about it. The selection of Lasse Hallström as director, the man behind such vanilla fare as Chocolat and Salmon Fishing in the Yemen, all but underscores that the movie will be devoid of surprises. Predictable as it might be, though, The Hundred-Foot Journey does possess some charm, emanating mostly from its offbeat cast and its surprisingly frank approach to racism in the otherwise alluring French countryside. It is there that Papa (Om Puri) and his family arrive and establish Indian restaurant Maison Mumbai right next to a traditional, one-Michelin-star-winning French establishment managed by the very demanding Madame Mallory (Helen Mirren). Recognizing the raw talent of Maison Mumbai's self-taught young chef, Hassan (newcomer Manish Dayal), some welcome the competition, like Mme. 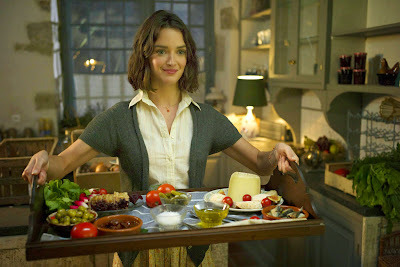 Mallory's sous chef Marguerite (Charlotte Le Bon, who made an impression earlier this summer in Yves St. Laurent). But she may have more than food on her mind when it comes to Hassan. Others, like Mme. Mallory's chef de cuisine, are alarmingly open about their distaste for foreign interlopers, especially in a domain that has long served as a source of nationalistic pride for the French. 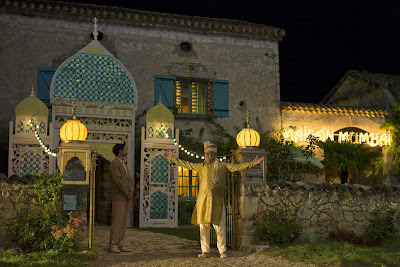 It's not difficult to guess where The Hundred-Foot Journey is going, of course. Hassan is set up as an underdog that must win the heart of both Marguerite and Mme. Mallory, get the blessing of his proud dad when it's time to move on, etc. If you're a food lover though, there are plenty of close-ups of French and Indian entrees to salivate over. And if you like romantic comedies then, at times, the movie does unfold in ways that frustrate the usual expectations one has in terms of plot twists, particularly in its last act when Hassan becomes a star chef. Helen Mirren may appear to be acting in the performance equivalent of autopilot. But her co-stars take advantage of that and steal whole scenes out from under her, particularly the two newcomers, Dayal and Le Bon (so gorgeous that her crooked teeth seem more like an affectation of humility than a true stab at modesty). Anyone who only remembers Puri from bit parts in American and English films will be particularly taken with the kind of exuberance the Bollywood veteran is finally allowed to display in this. 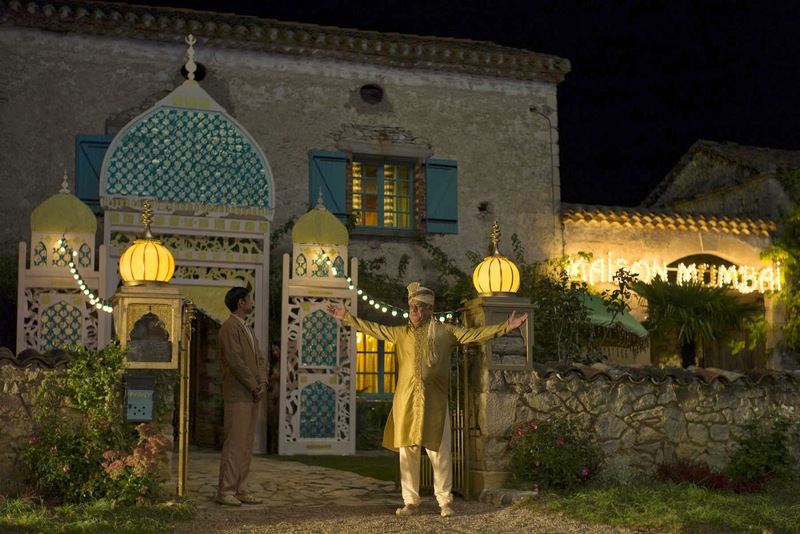 The Hundred-Foot Journey's pleasures may be small, but there's certainly enough of them to help it stand out from the explosive, CGI-colored summer pack.